my beauty diary xo: spending ban & project pan! Being an 'almost' grown up is really hard, I'll admit it. I wouldn't say I'm a fully fledged adult yet - I'm still at university, still living at home and working a part time job. But, apart from most living expenses, I would consider myself pretty much financially independent. I work as much as I can while I study, pay all my personal expenses and I'm almost finished university which will hopefully lead me to a career once I'm done. But you know what else comes with being an adult? Bills. Bills, bills, bills. As such, I have decided to put myself on a spending ban for the whole of April. Lets face it, I have way more then I need as it is, and I tend to neglect old favourites in favour of trying new, shiny products. Plus, because of all my upcoming expenses that are due to hit directly after April and then on for the rest of the year, the responsible adult in me feels the need to kill the impulsive personality that rears its head whenever I enter Priceline. With the spending ban, I've decided to also try and use up some of my products that I seem to have either used and used until they were almost finished and then forgot about, or ones that were old favourites that I've been neglecting in recent times. Think of it as a project pan, or brought it forgot it type scenario. I tried to pick one of each product that I would typically wear on an everyday basis, and by the end of the month, I expect to: a) have completely finished it or b) have made some serious dents. Hands down my favourite primer - I use this on an everyday basis anyway and it is almost finished anyway. Means that after my spending ban is over, I can buy a shiny, new bottle. 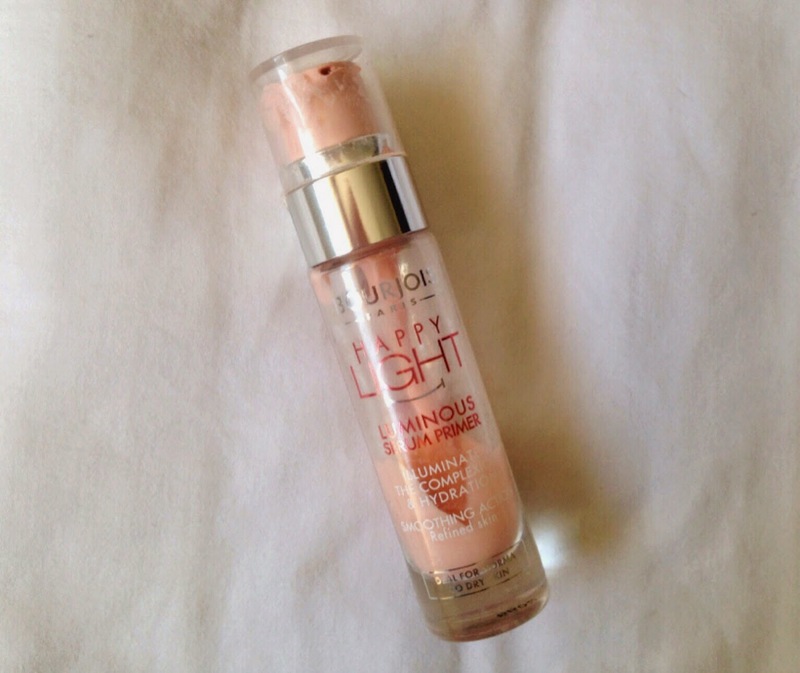 I raved about this foundation pretty much all of February. I still adore it, but I have been neglecting it in favour of the Bourjois CC Cream, just because it has a lighter coverage and is easier on a day to day basis. But, I love this foundation and I want to show it all the love it deserves! On one hand, so excited to finish it.. But on the other, I am scared that once it's out I'm going to have to purchase another because of how good it is! This used to be my go to, because of how well it conceals, brightens and blends all at the same time! Again, it has been replaced by another Bourjois product: the CC Eye Cream, which I find does all of the above and hydrates at the same time. I have about half of this left, and I really want to finish it so that I can finish my other concealers, and then repurchase the ones I feel that are worth the money. I do like this, and will probably repurchase some time in future, but I feel the need to expand my horizons. I adore this bronzer! Seriously, it smells so good I just want to eat it. Plus the packaging aaaah, its all so good! I usually use my MAC Mineralize Skinfinish in Medium Deep to bronze, but I feel like I need a change for the month - plus I need to use this up at some point! I feel like I always shy away from using my higher end products because I'm afraid I'll fall way too much in love and need to repurchase straight away. That may still happen, but I really think this will last me alot longer than I originally thought - so fingers crossed! I think I may be stretching this mascara way longer than it can realistically be stretched.. It's probably already over with this one, but I'm not ready to let go yet, not while there's still product on the brush! But, I will concede to throwing it out after this month. I just love how this makes my lashes look so natural and voluminous at the same time. 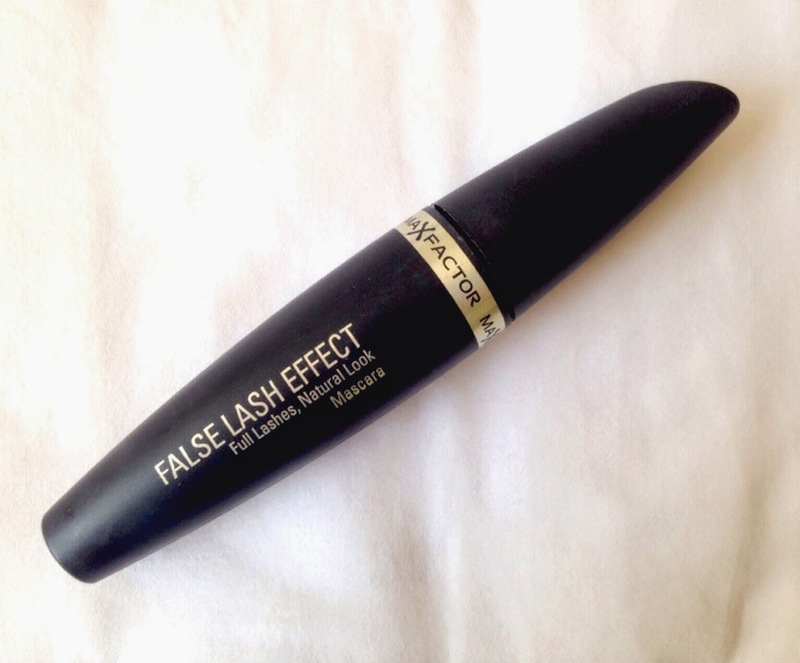 I have it in the brown shade, and it is my secret for amazing looking natural lashes. This is my most used lippie - and I own alot! I have a tiny, half a fingernail of product left, and I'd really like to completely use it up. Plus, I already have a backup for this ;) It is just the most perfect everyday baby pink colour. Very similar to MAC's Creme Cup Lipstick, just a tad more sheer. These also have a balm like quality to them, which makes them super wearable. Wish me luck guys! This will be a mission and a half to try and use these as often as I can for the month of April, as well as not spend anything on any other products. But, I'm determined, and every time I am almost detered, I look at all the bills stuck to fridge and think twice..
Let me know if any of you are on a spending ban! We can all support each other during this difficult time in our lives. I brought the healthy mix today! the maybelline colour whisper in lust for blush is my perfect 'my lips but better' colour , its one of my favs!! Thanks babe, have checked out your blog and GFC'd. I am on a shopping ban too. 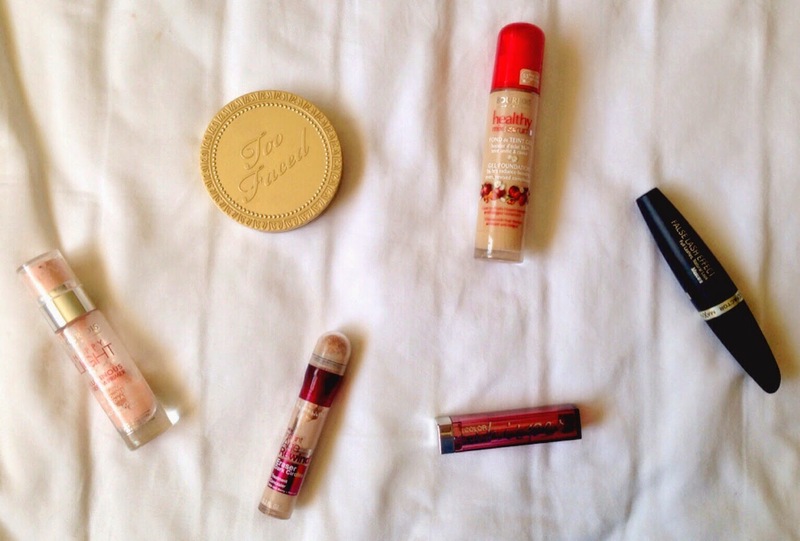 I spoke about my old favourites in my March favourites post. I have a bunch of products to finish. (I did cheat a bit and bought a few stuff) But I plan to seriously stick to it till May.